Yesterday I ate "soft food". 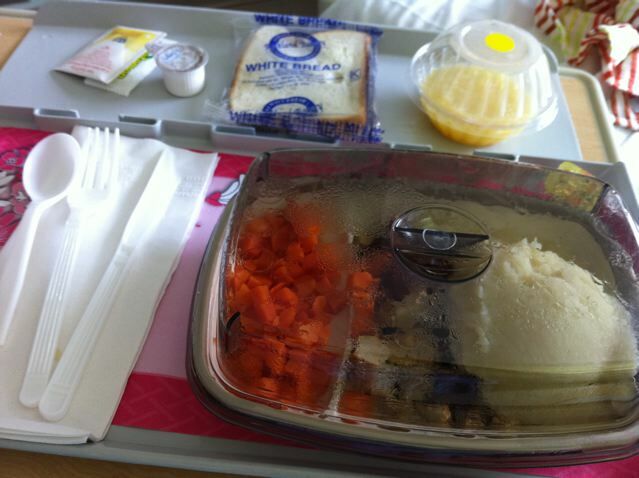 Carrots, tiny chicken pieces, mashed potatoes, a slice of bread and some apple sauce. Ruby and Ford were there while the doctors removed the tubes from my abdomen that had been collecting fluid. It hurt. After that I was released from the hospital.